 Premiums rise to 6.68 billion euros, up 9.2 percent.  Revenue grows by 8.1 percent, reaching 7.86 billion euros.  Strong growth in Spain business (+10.9 percent) and earnings (+27.8 percent).  Significant increase in Brazil premiums (+34.2 percent) and earnings (+4.8 percent), with an improvement in the combined ratio.  Business in the United States is up by 6.3 percent and earnings by 4 percent.  Excellent performance from MAPFRE RE, increasing premiums by 6.7 percent.  Solvency II ratio stands at 210 percent, underscoring the company’s financial strength.  MAPFRE’s investments exceed 50 billion euros for the first time in the company’s history.  Shareholders to receive interim dividend of 0.085 euros per share on June 20. MAPFRE’s net earnings in the first three months of 2017 rose to 206 million euros, representing a 7.5 percent increase on the first quarter of the previous year. Spain, Brazil and the United States, together with MAPFRE RE, continue to drive growth. The Group’s premiums stood at over 6.68 billion euros, up 9.2 percent on the first three months of the previous year. Particular highlights were the excellent performance of the Life business in the Iberia Territorial Area and the progress of general and life insurance in Brazil. In addition, the business has been favorably impacted by positive currency developments, especially the Brazilian real and the American dollar. Meanwhile, Group revenue rose by 8.1 percent to 7.86 billion euros, consolidating the growth trend seen in recent years. Equity at the close of the first quarter of 2017 amounted to 11.22 billion euros, up 7.2 percent on the March 2016 close. Shareholders’ equity grew by 6.6 percent to 9.05 billion euros and total assets increased by 6.6 percent, standing at 69.73 billion euros at the close of March. MAPFRE’s investments, including property for own use, stood at 50.64 billion euros to March 31, representing a 6.6 percent increase, surpassing 50 billion euros for the first time in the company’s history. Against a backdrop of lower interest rates in Europe, investment in fixed income has been reduced moderately, with positions increasing in variable income assets and, to a lesser degree, alternative assets. Currently, 54.8 percent of MAPFRE’s total investment is in sovereign fixed income, with 19.2 percent in corporate fixed income. Also of note was the creation of MAPFRE AM Luxembourg, the group’s investment SICAV, at the end of last year. The Solvency II ratio at the close of December stood at 210 percent, with 94 percent of maximum quality (TIER 1) capital, underscoring the company’s financial robustness, and positioning MAPFRE among the most solvent of the large European insurance groups. During the first three months of this year, the Insurance Unit’s premium volume rose to 5.63 billion euros, representing an 11.2 percent rise on the same period last year. → The Iberia Regional Area (Spain and Portugal) recorded premiums totaling 2.39 billion euros between January and March, an increase of 10.8 percent, with attributable profit in this regional area standing at 128 million euros, up 26.9 percent. In Spain, premiums grew by 10.9 percent to 2.35 billion euros, with an outstanding performance from the Automobile business which registered premium volume of 518 million euros, up 0.3 percent, and an exceptional combined ratio of 92 percent (an improvement of 2.7 percentage points). The implementation of the Automobile compensation system in 2016 resulted in greater claim costs in line with the pricing adjustments made for the previous year. No relevant cost deviations occurred during the first quarter of 2017. Another highlight is the continued above-market growth of the health line, with premiums for this business growing by 5.2 percent in the first quarter to 526 million euros. MAPFRE VIDA premiums amounted to 676 million euros, an increase of 42.5 percent on the first quarter of 2016, thanks to the launch of products and commercial campaigns to attract individual savings. The premiums from the Bankinter business in Portugal have also been included. 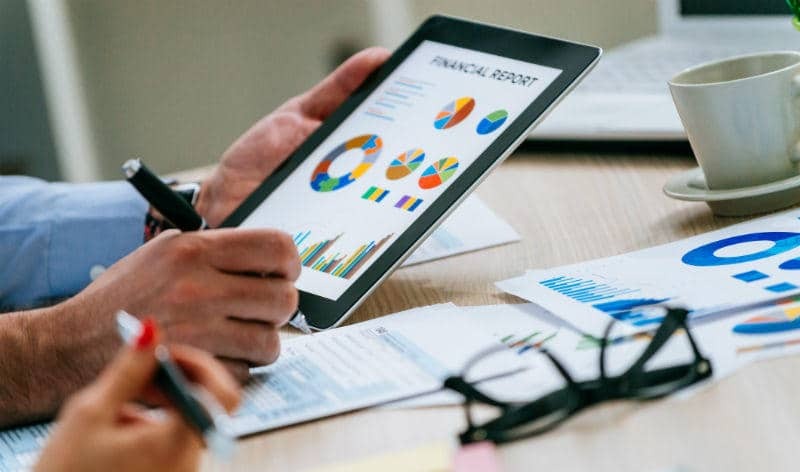 Mutual funds grew by 37.3 percent (921 million euros), reaching 3.39 billion euros, while pension funds grew by 9.3 percent (408 million euros) to 4.82 billion euros. → The Brazil Regional Area registered a 34.2 percent improvement in premiums, exceeding 1.2 billion euros, driven by favorable movements in the Brazilian real, which appreciated by 27.9 percent against the euro. Particular highlights were the performance of the general insurance business, with premium volume of 485 million euros (+53.7 percent), Life (365 million euros, +28.7 percent) and Automobile (352 million euros, +18.5 percent), as well as the 1.6 percentage point improvement in the combined ratio to 98.5 percent. The attributable profit of this Regional Area rose by 4.8 percent to exceed 26 million euros. → Premiums for the LATAM South Regional Area totaled 429 million euros (-3.5 percent), as a result – among other factors – of the decision not to renew unprofitable contracts in Chile, a slowing economy and strong competition in Peru and the exit from the occupational accident risks line in Colombia. LATAM South’s attributable profit at the close of March this year was 16 million euros, up 25.9 percent on the same period last year. → The LATAM North Regional Area improved premium volume by 6.8 percent to 367 million euros, supported by favorable business developments in Central American countries (especially Honduras, Costa Rica and Panama). However, premiums fell by 1.2 percent to 202 million euros in Mexico, due to the decrease in Automobile business as a result of applying a stricter underwriting policy, pricing adjustments and the non-renewal of unprofitable contracts. → The North America Regional Area registered growth of 6.2 percent between January and March this year, exceeding 654 million euros in premium volume. The performance of the United States business is a particular highlight, with growth of 6.3 percent to 569 million euros and an earnings increase of 4 percent, exceeding 12 million euros, positively influenced in this quarter by both local currency growth and the dollar appreciation (+4 percent). Massachusetts premiums increased by 10 percent, particularly in the automobile line, meanwhile outside of Massachusetts, business declined by 3.6 percent due to the cancelation of unprofitable business, in accordance with the objective of improving profitability in these states. The attributable profit of this Regional Area increased by 4.3 percent on the first quarter of 2016 to 16 million euros. → Premiums in the EMEA Regional Area amounted to 569 million euros (-4 percent). Turkey contributed 197 million euros (-19.8 percent in euros, reducing to 2 percent in local currency terms), affected by a stricter underwriting policy within the framework of profitable growth. Meanwhile, premiums increased by 5.9 percent in Germany to 142 million euros. The performance of the combined ratio in this Regional Area is also noteworthy, improving by 2.4 percentage points. This Regional Area contributed 9 million euros to attributable profit, an increase of 57.7 percent on the first quarter of 2016. → The APAC Regional Area increased premiums by 19.3 percent during the first three months of the year, exceeding 18 million euros, thanks among other factors to the renewal of an industrial policy in the Philippines. The Reinsurance Unit boosted premium volume by 6.7 percent to 1.17 billion euros. A particular highlight is the 1.6 percentage point improvement in the combined ratio of the reinsurance business, which stood at 91.4 percent. The attributable profit of MAPFRE RE exceeded 51 million euros, up 0.5 percent. The Global Risks Unit increased premiums by 9.3 percent to 319 million euros. The Regional Areas of Iberia, LATAM North and Brazil performed especially positively, posting double-digit growth. Finally, revenue in the Assistance, Services and Specialty Risks Unit stood at 304 million euros (-2.4 percent), primarily due to business restructuring. The Board of Directors has authorized the payment of an interim dividend against the 2016 results of 0.085 euros gross per share, to be paid on June 20 next. MAPFRE is allocating 447 million euros against the 2016 results as payment to shareholders, 11.5 percent more than the previous year, and representing an increased payout of 57.6 percent, up from 56.5 percent. Profit before tax and non-controlling interests Million € % Var. The Alternative Performance Measures (MAR) used in in this report, which correspond to those financial measures that are used but not defined or explained in the applicable financial information framework, can be consulted at the following webpage: https://www.mapfre.com/corporate/institutional-investors/investors/financial-information/alternative-performance-measures.jsp.